On Monday, the vessels Ribera del Duero Knutsen with a cargo capacity of 173,000 m3 and Maran Gas Pericles with cargo capacity of 174,000 m3 transited northbound, while Torben Spirit with a cargo capacity of 174,000 m3 and Oceanic Breeze with a cargo capacity of 155,300 m3 transited southbound, facilitating international trade between customers in South Korea, Japan, Chile and the U.S. Gulf Coast. The milestone bests the Panama Canal’s previous record set on April 17, 2018, when three LNG vessels transited through the waterway on the same day. 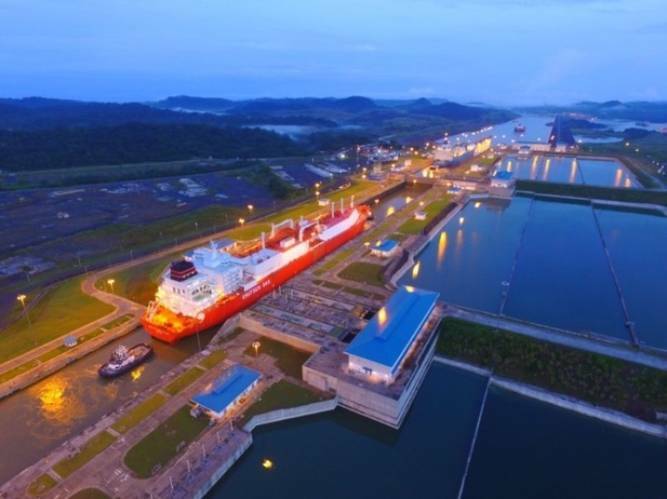 Monday's record is the result of changes introduced to the Panama Canal’s Transit Reservation System to optimize the Expanded Canal’s capacity and offer two slots per day to LNG vessels. The modifications, which were announced in August 2018 and came into effect Monday, also allow lifting certain daylight restrictions for LNG vessels, as well as meetings between LNG vessels in opposite directions in Gatun Lake. 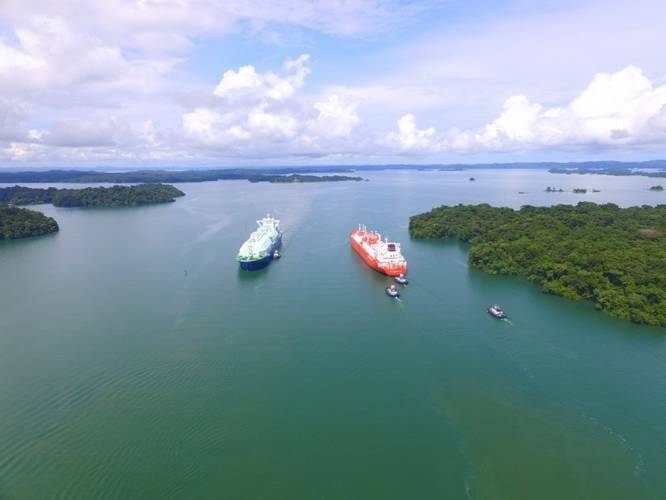 "The transit of these four LNG ships in just one day demonstrates the Panama Canal’s commitment to maximizing the efficiency, flexibility and reliability of its service to all customers," said Panama Canal Administrator Jorge L. Quijano.